In my last post "Part 1 – Mark Mosher Cinematic Electronic Live – Boulder Synthesizer Meetup August 11, 2015" I shared a video of a solo set I played at the Boulder Synthesizer Meetup earlier this month. For years now when I've played my solo sets I've used an Ableton controllerism rig on the audio side. Hot off the heels of the (no)poem tour where I had great luck using all hardware in a collaborate and improvisational context, the meetup gig was a test of using all hardware on the audio side and only using the computer for interactive visuals. The instant-on and quick setup of the all hardware rig was really great and allowed me to play a continuous set combining composed piece from my albums plus do improv. 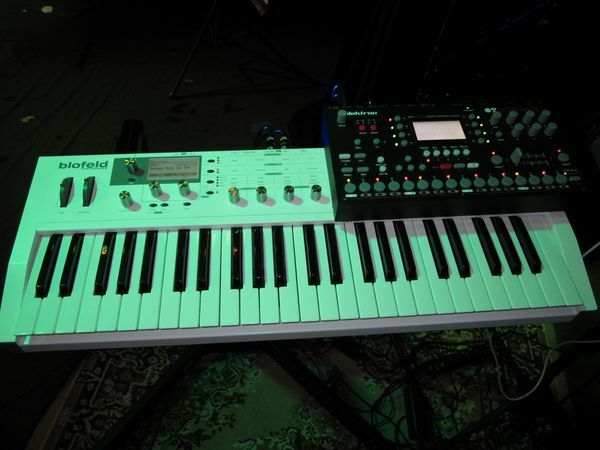 At the meetup gig, I used a Blofeld keyboard. 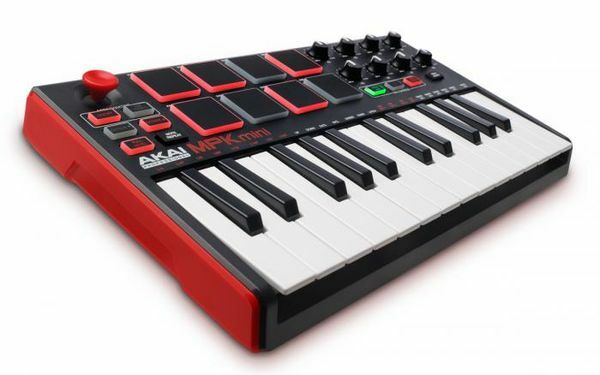 I wanted to be able replicate that same gig for away gigs where I fly so I added an Akai MPK Mini MK2 to be paired with the Blofeld Desktop. 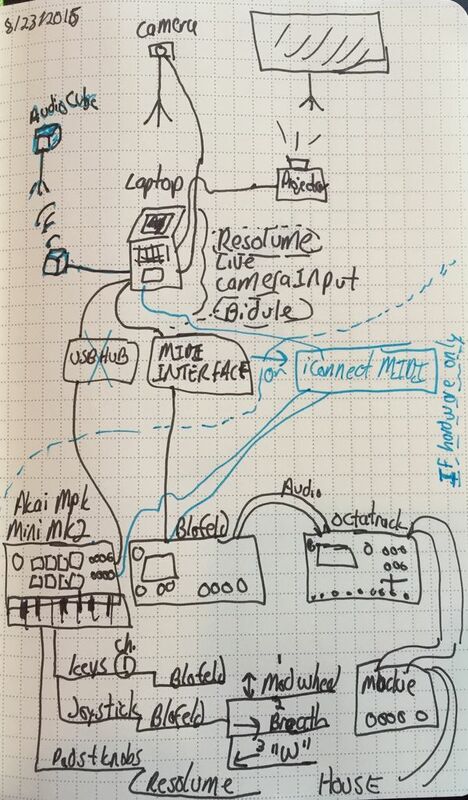 Here is a sketch of my solo rig now. By having a home and away rig with the same technology I can develop more muscle memory for the rig and focus on a small set of instruments. 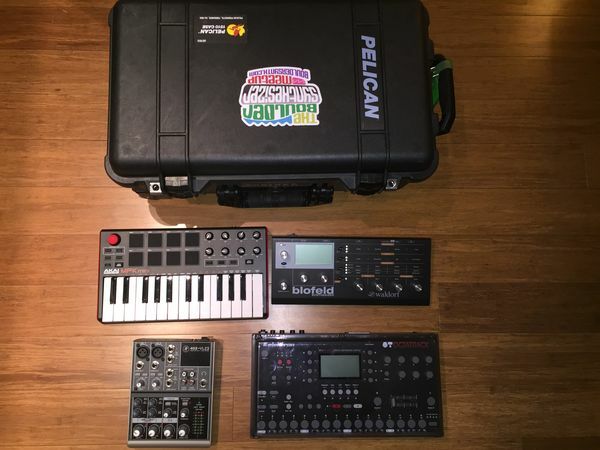 Note that if I happen to have the computer along for visuals, I can turn this into a hybrid rig and use the laptop to run Percussa MIDIBridge and run audio cubes as gestural controllers. I'm currently testing the rig in hybrid mode and will add an iConnect MIDI interface soon so I can completely break the tether to the laptop if needed. It’s always interesting to see how artists rig up their stuff. Thanks for sharing these pics!